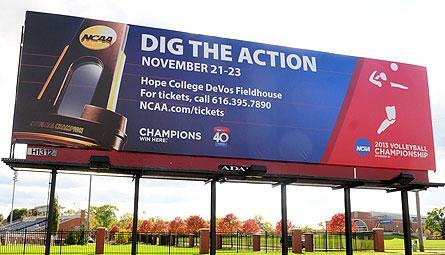 The finals of the NCAA Division III women's volleyball championships return to the DeVos Fieldhouse on the campus of Hope College on Nov. 21-23. It will mark the second consecutive year that Hope has been host to the volleyball championships. Tickets can be purchased on-line for the three-day tournament. Three Hope College athletes have received recognition from the Michigan Intercollegiate Athletic Association (MIAA). In the research laboratory of Hope's VanderWerf Hall, students are analyzing samples for a research project.